If you have a blog, want to start one, or still in the process of creating one, here’s a few tips for you. Even before Proverbs & Wisdom, I was blogging and this is what I’ve learned along the way. The quality of your content is most important to your readers. For my friends with photo, video, and music blogs you aren’t exempt. Bad content to a reader is like going to a restaurant with terrible food. It doesn’t matter what they offer you and how nice they are—you aren’t coming back. Therefore, if you want to make your blog standout, let alone have repeated visitors, make sure your “food” (content) is good. Doctors who are pediatricians and general practitioners are great, I give them much credit. Yet, when you have a serious issue such as a broken toe or an unrelenting headache, you want a specialist. Blogs are the same way. You aren’t a newspaper so it’s best to specialize in a specific area. Not only do you make yourself look more knowledgeable (because people assume you’ve mastered or are passionate about this area), but your visitors will be more interested in what you are giving them. Why? Similar to you going to a specialist for a specific reason, they too, are doing the same with you. Having your own website and/or blog can be very exciting and you may be inclined to tell people about it right away—don’t. I once had this teacher that told us she was going to start hanging our test papers around the classroom—names, grade, everything—and whether we did terribly well or terribly great, people would see. Although that never happened, I can tell you what did: everyone tried to display their best by studying. Before you “hang up” your blog for display, “study” it to make sure the links work, you have some content already available (at least a week’s worth), and everything is correct. By doing this you’ll ensure that visitors will see your best and not the careless mistakes you’ve made. Sadly, people judge you by the way you look and here in the blogging world it isn’t any different. You can have the world’s greatest content, but if your site is cluttered, bombarded with links, and what I dislike most…ads everywhere, chances are they won’t want to visit long. So here’s a special tip: keep in simple. You can have a lot on your site just make sure everything is well placed and if you have advertisement, put them in your sidebars. Having ads everywhere, especially in between articles, looks tacky and reduces your blog’s aesthetics. I’ve read a few writer’s blogging tips, but I haven’t seen this one (not saying it doesn’t exist). There’s thousands of blogs out there so why would anyone want to come to yours repeatedly? Because you provide them something that no one or few people can. 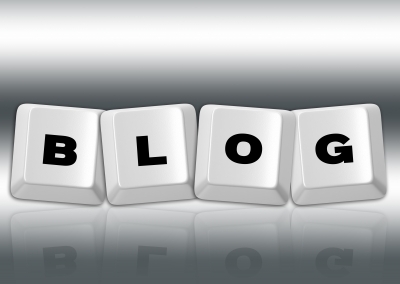 If you truly want to make your blog standout you must offer something unique. This way, people have limited options or no other option but to come to you when they want it. Well, I’m not a professional blogger and although I can think of other tips, this isn’t a “your best blog now” website. I’m curious though, what do you think are helpful tips or do you agree with my list? Let me know and if you have additional questions shoot me an e-mail at a-ormon@proverbsnwisdom.com .